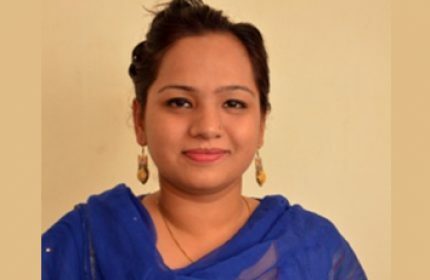 Ms. Dhanwanti Yadav got her Bachelor and Masters degrees from University of Delhi. She has received Best Student Award from Shyama Prasad Mukherjee College, Delhi. She has experience of working at clinical and academic settings. She has worked as a psychologist at Sir Gangaram Hospital, New Delhi and has expertise in dealing with behavioral health problems of children. She has been an active participant in research conferences. Her major area of interest in research is relationship of spirituality and psychology. She has presented a research paper on Bhakti Yoga and its impact on individual health in Delhi University. She has attended national/international conferences and presented research papers. Her current interest area is Spiritual Intelligence. She has approx. one year of teaching experience. She is highly motivated towards her teaching career and uses up-to-date pedagogy in imparting instructions to students. She teaches papers of Basic Psychology, Cognitive Psychology, Guidance and Counselling, Theories of Personality, and also supervises students in practical’s.